My top three reasons to attend The Tent Show. EDUCATION. NETWORKING. OPPORTUNITY. First, it's all about learning in and out of the classroom. Continuous education is important in any industry. The subjects are varied, current and all important to gathering pieces of information to advance my business. Outside the classroom, I always learn something new when networking with my fellow renters. A side bar conversation about what is happening in the marketplace with customers is just as important as sitting in a seminar. Lastly, there is no other yearly format for our industry that presents an opportunity for vendors and customers to display their wares in such a hands-on setting. There is certainly no other venue that allows you to befriend fellow renters who just might have that odd piece of equipment you need to complete an important job. In the competitive environment we work in, I'm delighted when my competitors don't show up. Oh sure, as a MATRA Board member, I want as many installers, sales people, owners and vendors to attend, but I always feel like I'm a step ahead of those that don't. Come take advantage of the chance to learn, network and get that competitive edge. I hope to see you at MATRA in Long Island, NY, November 7 through 10. Check out our members looking to sell products here. 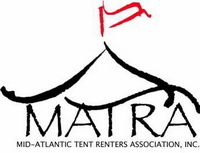 As the main identity of the Mid-Atlantic Tent Renters Association, Inc., we ask that all current/active members use the proper logo on all promotions and collateral materials advertising membership in MATRA. Click here for logo usage rules and regulations. By now, you should have received your 2016 MATRA Membership Directory. In a way, I must apologize for the cover. 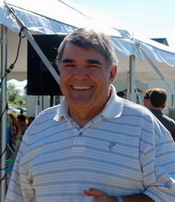 Yes, I know I used a picture of my good friend, Brian Richardson from L&A Tent Rentals twice, but there's a reason. Well, a few reasons. The Golden Sledge Hammer Winner for 2015 was Derek Hill, who works for L&A Tent Rentals. As you will see in the picture, they both seem to "lean" a bit towards each other. It could be the height difference or it could be these guys really do "lean" on each other. I do know, Brian was very proud of Derek and happy to see of his key staff win this prestigious award. Now the other picture of Brian was because he was presented with the 2015 Volunteer of the Year Award. Although, totally surprised he was totally deserving of the recognition. Brian has done so much for this organization, and he continues to support me, the Board and the organization as a whole. Brian has helped MATRA grow in many ways that most of you have not be made be aware. It's safe to say that I "lean" on him for his continued friendship and sometimes quirky remarks, and the organization "leans" on him for his support. When asked to be our Master of Ceremonies, the colorful way he pulls off the job makes everyone feel relaxed, happy and appreciative. So, to all of our members out there that find themselves standing in front of your peers to receive an award or recognition in the future, I say be more like Brian. Helpful, involved, supportive of MATRA, with a nice shoulder to lean on when needed. MATRA is pleased to announce that, once again, we have formed a strategic partnership with California Rental Association (CRA) for the 2017 CRA West Coast Rental Rally Trade Show scheduled for January 30 through February 1, 2017 at the South Point Casino Hotel & Convention Center in Las Vegas, NV. MATRA will be responsible for presenting several of our highly acclaimed seminars on Monday, January 30th. We encourage our MATRA members to attend and/or exhibit. Click here for Registration and/or Exhibit information! We hope you take the opportunity to support our endeavor! All MATRA Memberships expired on January 31st, 2016. MATRA Membership Directories have been sent out! Some have been returned for incorrect addresses. REMINDER: If you have any changes in your company information, especially an address change, please adjust that information as soon as possible on your profile page. Also, upload a current photo of yourself, or your logo, on your profile page. That's one way we can visually feature you as a member on the website!!! MATRA Annual Conference in New York!! "The Show for the Tent Professional" 2016 will be held at the Long Island Marriott, Uniondale, New York from November 7th - 10th. Get ready to be "In a Tenting State of Mind". MATRA has a contracted room rate at $169 for a Standard room, plus tax/resort fee. You can reserve on line or you may call Reservations directly at 800-228-9290 - reference "Mid Atlantic Tent Renters Association". There is complimentary on-site parking. The deadline to reserve your room at this rate is Monday, October 17, 2016. REGISTRATION IS OPEN!!. The MATRA Board and Committees have worked very hard to create another outstanding Conference. Don't delay - Early Registration for both Attendees and Exhibitors ends on Monday October 3, 2016. This year's Conference will officially begin on Monday with ALL Tent Installations occurring that day. Great way for all tent installers and managers to see the products being installed. The Education Committee is putting together another stellar program that will include topics on Operational Obstacles: Process and Permits; Ballasting Options; Structural Evaluations and Engineering Interpretations; Foundations of Flooring, Sales in the Tent Rental Company and Financial Management Tips, just to name a few. Watch for updated information regarding sessions and other special events on the MATRA website and email blasts! As Chair of the Scholarship Committee, I am pleased to announce that MATRA has awarded two scholarships for the academic year 2016-2017 in the amount of $2,500.00 each to Ms. Olivia Cianciulli and Mr. Dakota Tankersley. 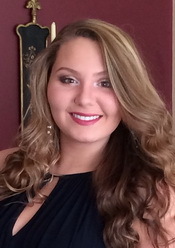 Olivia Cianciulli attends Monmouth University in West Long Branch, New Jersey where she is a Business/Marketing Major and is scheduled to graduate in May, 2019. Olivia has worked for her father, Anthony Cianciulli, Jr., of Anthony Party Rentals, where we are certain her degree will be helpful. An avid volunteer since high school, Olivia is a current member of Alpha Omicron Pi Women's Fraternity and participates in their philanthropic events. 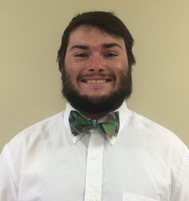 Dakota Tankersley attends the University of West Georgia in Carrollton, Georgia where he plans on graduating in May, 2018. His main course of study is Criminolgy which he expects lead him into law school. Dakota works for Dalton Public Works during he summers and holds the position of Secretary in his fraternity, Kappa Sigma. Dakota is the son of Robbin Tankersley who is employed with Mainline Carpets. We congratulate both of these very commendable recipients and wish them the best of luck in all of their future endeavors! 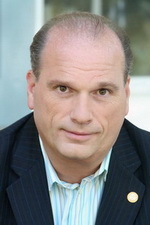 Meet the Newest MATRA Board Member! Welcome Liz Davis as the newest MATRA Board member! Liz has been in the industry since 1999 having started in an after school job in college for a small rental outfit, Parties to Go. After acquiring another rental company in 2001, Parties to Go continued its expansion by changing its name to PTG Event Services, adding inventory, three warehouse moves, experimented with catering and eventually landed as a key player in their local tent rental market. Although not an owner in PTG, Liz currently serves as Director of Operations after developing many of the positions and processes in the sales and operations departments. Counted as one of her favorite successes with PTG, Liz helped implement enlarging to a 50K square foot building and a 30K square foot yard in 2014 which allowed them to expand their inventory of large structures. Liz states, however, that "my biggest challenge has been to expand PTG's labor force while maintaining quality." MATRA would like you to met one of our newest members, South Street Tablecloth Company. Due to a printing error, they didn't get their ad in the MATRA Directory this year so here's a little introduction! 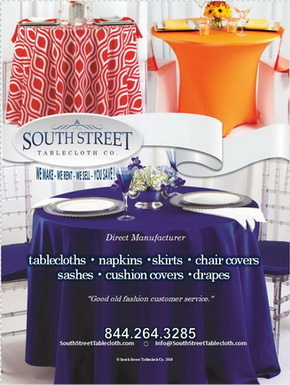 Located in Mount Vernon, New York, South Street Tablecloth has been in business for three years. Offering an extensive collection of fabrics, South Street is a linen manufacturer serving the party rental, catering and event planning communities that prides itself in "Good Old Fashion Customer Service". Manufacturing and shipping from the same location allow them to maintain the quickest turnaround time in the industry! Offering a full line of over 43 fabrics and 550 colors, South Street can surely meet all of your linen and rental needs. Striving to be the best linen manufacturer in the industry, they are dedicated to serving their customers with quality products and reliable service - second to none! In addition to providing table linens, chair and cushion covers, runners, sashes, napkins, drapes and a full line of spandex, they also offer a variety of prints, organza's and specialty services that include custom sizes, labels and more. For more information, visit their website at www.SouthStreetTablecloth.com or contact them at info@SouthStreetTablecloth.com, 844-264-3285. Welcome to MATRA! Pioneer Tool & Forge Inc.
Mid-Atlantic Tent Renters Association, Inc.
Manufacturers and Tent Renters Association, Inc. The mission of The Manufacturers and Tent Renters Association is to uphold and promote the professionalism and integrity of the tent rental industry, through education, training, networking and leadership development for the benefit of its members.